The UK gas, power and oil markets this year (2017) have been full of events, but overall, movement has been minimal, especially in comparison to 2016 energy market movement. With Brexit hanging in the air until 2019 – and most likely thereafter – premiums for risk has been built in since the start to account for any surprises throughout the last twelve months as well as in the future. There have been various events that have caused dips and peaks in wholesale prices, however not much has lingered in the gas and power markets. Oil markets have seen much more excitement, with OPEC agreements throughout the year, along with varying reports anticipating the future direction of oil supply and price. 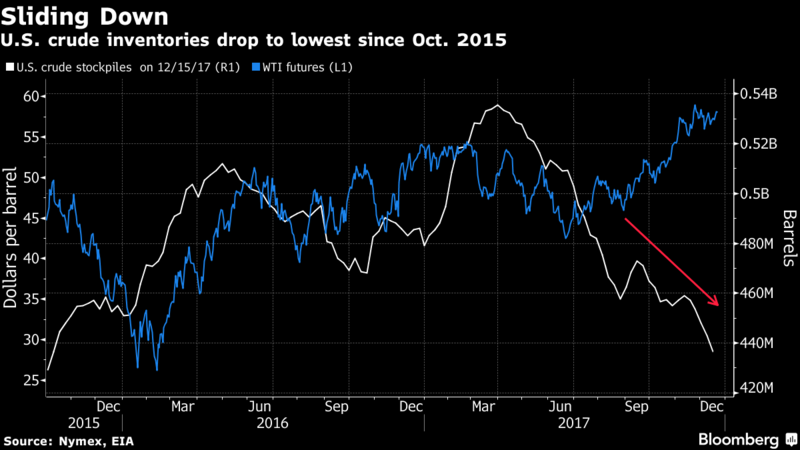 To begin with, Brent Crude oil prices lingered around $55/bbl until reports suggested in March that the global oil overhang was still very much an issue. Prices swerved sharply from $47/bbl to $55/bbl again as major oil producers altered production activity in various different ways. Meanwhile, PM Theresa May called for a snap election, and the GBP suffered against a variety of major currencies. Finally in June, the results of the general election resulted in an unlikely Conservative and DUP coalition. In the background, Centrica Storage Ltd announced the much anticipated permanent closure of their largest offshore gas facility named Rough. The aging storage facility required so much maintenance and repair that it was becoming unprofitable. Injection activity had been halted originally back in 2016, and as such had not supplied any gas over last winter. Centrica announced cushion gas withdrawals would take place over the next few winter seasons until it is completely empty. Wholesale gas prices did not react much to this news, as it was heavily anticipated by the industry. In fact, National Grid’s Winter 2017 outlook was written with the idea in mind that absolutely no gas would be withdrawn from the facility. In fact, this winter, gas has been withdrawn from Rough at very low, steady levels. Late summer saw a strong hurricane season hit the US, causing damage and chaos beyond imagination. Oil refineries and rigs in southern states were damaged and as such oil production was lowered. Oil prices increased in a sharp peak. To increase this movement, OPEC and other non-OPEC countries such as Russia met in November to discuss the extension to the current deal whereby collectively, all members will cap oil production by 1.8 million barrels per day. This was extended to last throughout 2018, rather than end in April. Since then, Brent Crude prices breached the $60/bbl mark, and while there has been a lot of fluctuation, prices never dipped back below $60/bbl. The end of the year has seen oil prices at their highest in two years. The hairline crack found on the Forties oil and gas pipeline forced its closure until repair work is carried out. Oil and gas prices jumped and settled within a week. Wholesale gas month ahead prices have increased by 16% since the beginning of the year. Wholesale power prices have seen less movement. Restrictions in French nuclear availability last winter have been replicated this winter, and as a result the UK has been exporting power to France once again. Therefore, winter power prices are echoing last years’ winter prices. All in all, 2017 has been a year packed with volatility for the UK wholesale markets, mainly caused by Brexit, the UK Government, and the global oil markets. Next year is anticipated to be just as volatile. Industry experts anticipate Brent Crude to average out at $55/bbl in 2018. For the UK energy markets, it is likely that more volatility will be present next year as we get closer to the Brexit date, and more deals, trades, etc are agreed. Sources: Bloomberg, Reuters, the Guardian, Energy Live News, Marex Spectron, Npower, SSE, Gazprom, EDF.